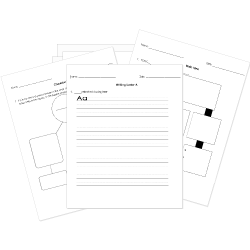 You can create printable tests and worksheets from these A Hat for Clara B. questions! Select one or more questions using the checkboxes above each question. Then click the add selected questions to a test button before moving to another page. What does Clara B want to do? What did Clara B. get at the end of the story? When people tell Clara B. 's grandmother that they like her hat, what does she say? "This hat is wearing me!" "My granddaughter got it for me." Which word describes Clara B when she wants the hat? Which word describes the hat worn by Clara B. 's grandmother? What was the consequence of Clara B. taking the hat without asking?